A recent article in the Telegraph, reports that according to watchdog Transparency International, Britain is the 10th most honest nation. The article reported that uncertainty posed by Brexit has potential to encourage a ‘Business at any cost’ trade strategy, which they propose may detrimentally impact on our future reputation. Leaders know that honesty and integrity are the foundations of Leadership. Integrity means telling the truth, even if the truth is ugly. It is better to be honest than to delude others, because then you are probably deluding yourself, too. So, it seems that honesty does still remain the best policy, together with integrity. A deep-seated respect and expectation for honesty makes companies more successful and more profitable. A report by the Institute of Leadership and Management (ILM) outlines that few Leaders would disagree that trust is an essential ingredient for sustainable organisational success. Trust helps organisations to run smoothly, increasing positivity and co-operation, improving processes and driving individual and team performance. When trust is in place in a Business, employers and employees are open with each other. They are not afraid to express their true views or opinions. The research highlights that the single most important driver of trust in Managers is openness followed by effective communication. Openness, communication, decision-making, integrity and competence in Managers were found to drive a more effective and productive organisation. Are you being Honest in your Performance Management? The most important ingredient in managing performance is honesty. For a performance appraisal to have a significant benefit, Managers and employees must be honest with each other. An effective performance management process includes meaningful, real time feedback, ensures employees have clear objectives and expectations, and develops plans to help employees to achieve their full potential. It can be especially difficult to inform an employee that their work is not up to par, or that they have an attitude or attendance problem that is seriously affecting their future with the company. 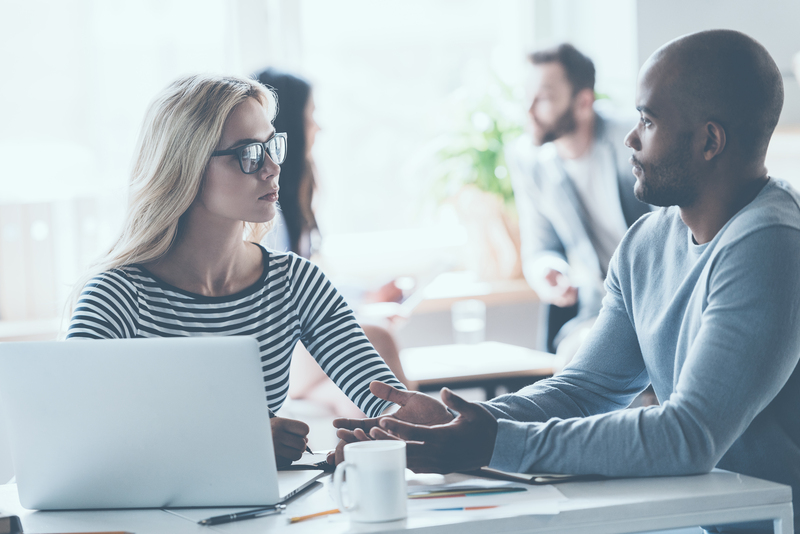 Often, Managers feel it is better to give a good or neutral performance review (or not give a review at all) than to sit down with the employee and be candid about areas of deficiency and the steps necessary to achieve acceptable performance. Praise is essential for keeping people motivated and engaged in their work. It is also important for building good working relationships with team members, customers and colleagues. Some Managers find it very difficult to give compliments; perhaps they are not used to it or it makes them feel embarrassed. Recent research by the Chartered Institute of Personnel and Development (CIPD), reported that in some organisations performance review meetings have become more frequent and less formalised than the traditional annual review. Examples of this include Accenture initiating a ‘continuous feedback’ culture, and Expedia creating a system of regular ‘check-ins’, designed to be more coaching oriented. Performance reviews should always be a two-way conversation and employees should be open and honest during a review. If they are not happy, they should have the opportunity to say so and the reason(s) why. They also ask for frequent follow up discussions with their Manager afterwards to ensure they are on the right path and meeting the standards that are expected of them. Allocating time and resources to developing Managers and employees to build trust whilst focusing on core performance management skills will lead to a more open, communicative and productive workforce. The best companies use experiential learning to deepen the impact of this training. GBS offers a 2-day Performance Management course which is designed to provide anyone in a Line Manager role with a toolkit to help them manage the performance of others. Alternatively, you can combine up to three 90 min classroom-based modules to create one flexi-day of training. For example, you could build a day of performance management training by choosing three modules to suit your organisational needs - such as setting SMART objectives, giving constructive feedback and creating development plans - to comprise a flexi-day around this learning topic. We will create a unique flexi-day that is tailored to the specific needs of your organisation.